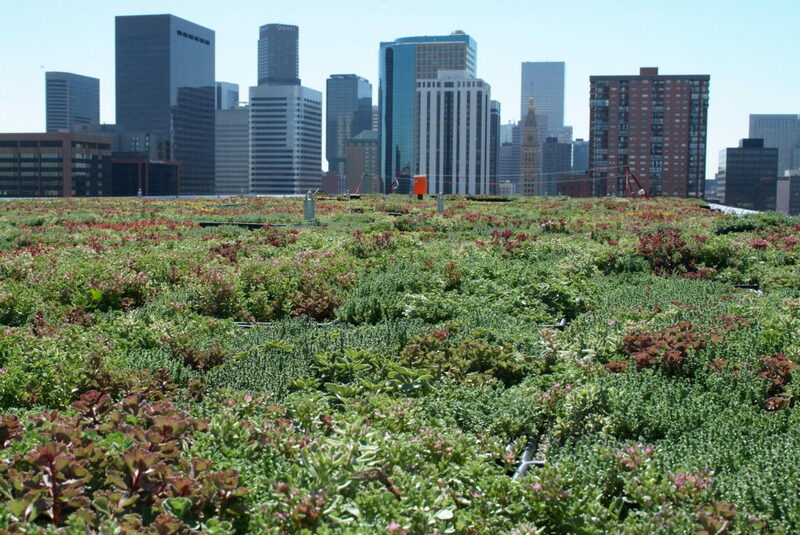 Green roofs are a constructive solution from Scandinavian countries that, for centuries and using grass grounds, has been used to insulate buildings. Nowadays, the technique has been modernised, but it continues to be used with the aim of improving the quality of life of the inhabitants and contributing to energy savings. Solar radiation absorbed by traditional buildings ends up becoming heat, which causes the cities to increase their temperature by about 4ºC, due to the so-called urban heat island effect. In summer, and thanks to green roofs, homes are more protected from heat due to the shade produced by the vegetation that absorbs the radiation to make photosynthesis. In winter, they help to reduce energy demand as they act as insulation, retaining the heat. In addition, green roofs help to reduce CO2 emissions, benefit sound insulation and can retain between 50-60% of rainwater. In addition, it must be added that this type of roof contributes to the conservation of biodiversity, as they become a new habitat for insects and birds. In spite of the good results mentioned, and as explained in the article of the EcoHabitar magazine, these benefits are not specified neither the Energy Saving Regulation – a regulation of Germany that describes the minimum requirements regarding the use of energy in new and renovated buildings – nor in the DIN 4108 Heat Protection and Energy Saving in Building – a German legal requirement that describes the requirements of thermal insulation for buildings. At Societat Orgànica we have always proposed solutions such as green covers as a system for energy saving, comfort and improvement of the quality of life of the inhabitants. Fotography: Green roof in Denver, Colorado.